Everyone by now has heard of Microsoft. Children want to be Bill Gates, or at the very least meet the man and hit him up for money. Consumers understand Windows, Office and Xbox, and every IT pro worth his salt knows the whole dang lineup. So as a partner walking into a client site, you don't exactly have to explain what Microsoft is. In most cases that's a good thing. Like IBM in the old days, no one gets fired for buying Microsoft. Research firm Millward Brown, which ranks brands on their economic value, places Microsoft ahead of GE and Coca-Cola as the world's most valuable brand, worth an estimated $62 billion (Google is eighth at $37 billion). The ranking included customers' views of the brand and what this means for future growth. This means that the Microsoft brand helps generate its own sales by predisposing customers to buy. Part of this is reputation, and much is driven by Redmond's incessant, powerful and expensive marketing. As a partner you are representing this powerful brand, and its sub-brands, and Microsoft wants you to treat those brands right. Unfortunately, there are not a lot of formal programs from Microsoft that teach about the brand. Nor does Microsoft train partners on how to deal with competitive brands. What it has instead are a gaggle of guidelines and a load of logos for the main brand, as well as sub-brands like Microsoft Dynamics, Windows XP, SQL Server, Xbox and more. And as for competitors, Microsoft spends more of its time helping partners position its products feature-by-feature and benefit-by-benefit against alternative tools—rather than squaring up against the brands themselves. Brand managers provide an important function at Microsoft. Here's how Heather Hamilton, a marketer and Microsoft blogger, describes the role of brand manager: "This is another tricky title, because many companies out there, specifically consumer-packaged-goods companies, use the terms branding or brand management in a totally different way. What those companies describe is a function similar to what we call product management here. Their brand managers own product strategy and marketing for a brand of goods or a family of brands. Here at Microsoft, when we talk about brand management, we are talking about the folks that manage our brand identity. This could mean a product brand like Xbox, or Microsoft's corporate brand and all brands in between. So branding in this context involves not only the look and feel of our brands (like logos) but also the meaning of the brand in the marketplace." "Brand is really important to Microsoft because ultimately that's what we have; it's a strategic business asset we have for our customers to be able to understand the portfolio of products that Microsoft delivers and the value and distinct position of each of those brands and products," says Karl Isaac, director, brand and marketing strategy, Microsoft Dynamics, who works in a central marketing group. "We are a centralized organization of discipline experts; we do packaging, research, branding and advertising." As part of this effort, Microsoft gives a lot of help in representing the brand in the form of logos, templates and a wealth of marketing materials, even in the absence of much formal training. But there are also serious restrictions and style guides you must follow to the letter. While there is plenty of general advice, some is so specific you'd think it was written by a copy editor, including grammatical advice this editor struggled a bit to understand. Microsoft has invested countless billions in brand building and, put simply, it doesn't want you screwing it up. Trademarks are one legal way of protecting the brand. Enforcing trademarks through strict rules is another. One thing Redmond is seeking is consistency. It is terrific for you to extend its brand(s), but this must be consistent with how Microsoft itself treats the brands. The authors of the book "Partnering with Microsoft," Ted Dinsmore and Edward O'Connor, see Microsoft as the overall driver of the brand, and partners as the ones that extend the brand by applying it. Partners "translate the benefits of its [Microsoft's] branded solutions to select customers and select industries," the authors argue. The amount of customized logos that have been downloaded. New logos include Microsoft Partner Award, Authorized Distributor and Small Business Specialist. qualifying them to use the logos. 89 percent Customers that would be "positively influenced" by either Microsoft Certified or Gold Certified status according to a recent Microsoft survey. 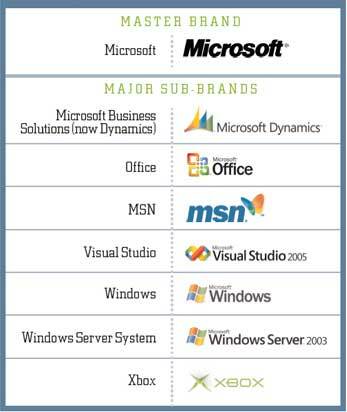 Many partners, including ISVs, do co-branding, mixing their identity with that of Microsoft. One way this is done is through custom logos that show just what kind of partner you are, such as a Gold Partner or Small Business Specialist. "As a member of the Microsoft Partner Program, partners are able to use a set of logos in partner-branded materials. The Partner Logo Builder enables partners to quickly create unique logos that display the Microsoft Gold Certified Partner or Microsoft Certified Partner logo paired with achieved Microsoft competencies," says Nicole von Kaenel, group manager for To-Partner Marketing. "Customized logos can help promote your unique and valuable skill set to customers who are looking for a particular type of solution. Logos signify that a company has a significant level of industry experience providing services, software or support for Microsoft-based technology. They indicate to customers that your business is reliable, experienced and endorsed by Microsoft." Many are proud to fly the Microsoft flag. "We use the Microsoft Gold [Certified] Partner logo on nearly all printed material, our Web site and on company vehicles. We promote our Gold [Certified] Partner status with all of our customers. We feel that our partner status conveys higher standards to the clients and it has certainly been a beneficial investment," says David Wertz, president of PC Works Plus, a Microsoft Gold Certified Partner. Microsoft guidelines, logos and templates are all aimed at making sure partners treat the brand right. But behaving professionally is just as important. "Proper representation of the brand is important for two primary audiences—customers and partners. Usage of the Microsoft Gold Certified and Microsoft Certified Partner logos indicates to a customer that a partner has met a set of requirements to achieve this status. For a customer, it represents a level of training and expertise they can rely on," says Microsoft's Kaenel. "Misuse of the logos and brand can potentially mislead customers in their selection of a partner." "Microsoft does give some strict guidelines on logo usage. They also dictate how we are to convey our companies as Microsoft partners. For instance, we are not to say we are 'partnering' with Microsoft. All of this has been in the form of documentation, not formal training," says David Wertz, president of PC Works Plus, a Microsoft Gold Certified Partner. Microsoft is pretty serious about these rules, though executives interviewed by Redmond Channel Partner were reluctant to talk about potential repercussions. "The guidelines are meant to be followed, the reason they exist is ultimately to help our customers understand the value we're delivering," says Microsoft's Isaac. "When you don't adhere to the guidelines we risk confusing our customer s."
These can get darn specific, such as not using product names as part of new acronyms, using trademark symbols and notices, and even spelling out some rather detailed rules of grammar. "Those guidelines, product naming and editorial usage guidelines, they get more granular. We get a lot of requests for specificity," Isaac explains. "And when it comes to acronyms, we don't see the value in using this acronym when what you are doing is short-handing something that we put a tremendous amount of effort into developing. Our naming research for Microsoft Dynamics was one of the most extensive, qualitative naming-research projects we've done. It involved customer input, partner input, and [if] we're just going to shorten that to an acronym, then we've missed the key thing we're trying to communicate." Despite the layers of rules, Wertz doesn't feel constrained. "I don't think the guidelines are restrictive at all. After reviewing the guidelines I felt that they were in place to keep companies from abusing the status or misrepresenting their involvement with Microsoft," Wertz argues. And while the company is serious about its rules, Microsoft doesn't necessarily carry a big stick. "The set of Microsoft partners worldwide functions as a community. When a partner business misrepresents their qualifications and skills, they're often reminded by members of their own community," Kaenel says. Microsoft starts working early on its logo programs, even in the code-name stage. For instance, Redmond already has a logo and branding program for Longhorn, even though the server is over a year away and hasn't yet been given its real name. Based loosely on the "Built for Windows XP" logo program, the Longhorn program is designed to get partners to sign up early, and build broad partner support. Like other programs, the Longhorn program helps partners tap into Microsoft massive marketing and sales tools that leverage Longhorn marketing. How massive? Microsoft is spending a half a billion dollars on its "People Ready" initiative alone (for more on that initiative, read "Getting People Ready"). Mike Torre, vice president and creative director for iPrimate, a Toronto-based creative marketing agency, built a Web site for consumers in Canada. "Over the years, we've been briefed on the Microsoft brand more than once. My opinion is that the brand has come a long way, in terms of style, without losing sight of its core brand proposition to users." Torre's assessment? "Good stewardship." As a result of his work, Torre is an expert in the Microsoft brand. "The Microsoft creative director came to Toronto a couple of years ago to present the new Microsoft brand standards to the subsidiary. In a rather impressive presentation, he walked us through the need for the Microsoft brand to have a style, like Apple, and what that new 'expressively human' style looked at, by way of the Segoe font, colors, images that inspire, use of translucence and so on," Torre says. "He also outlined the Microsoft brand strategy: Which brands are being built and how products and services should be represented. We left with an abbreviated version of the style guide in hand, which later translated into a more full-blown version of the identity and related assets, like Microsoft's image bank, to work with." Despite all the guidelines, iPrimate was given the freedom to improvise. "The site today does not actually comply with all of the brand elements, because we find a by-the-book application of the standards to be too corporate and stiff. So our clients allow us to produce and publish a customized solution for the Canadian market, one that our audience seems to appreciate," Torre says. Partner Program Logos: You have to be at least a Registered Member to use logos, there are specific logos for specific partner levels, and these logos can include competencies. Logos can be used on Web sites, business cards, collateral, ads, etc. In general, Microsoft branding materials and templates will specify exactly how and where they can be used. Microsoft's brands are so strong they could obscure your own if you're not careful. While Redmond has logos and templates and guidelines, it doesn't have hard and fast rules for when you should promote Microsoft versus yourself. Microsoft hopes you'll push both. "[The key is] making sure that we're clear to our customers that it's a partnership. We created a lot of value, our partners then extend that value. Customers need to understand when they're working with a partner versus Microsoft," Isaac says. "We have a variety of guidelines available to partners to advise them in when and how to make those distinctions. For example, on our Web site you can get information on how to reference Microsoft, how to reference our sub-brands, in text." The goal is to promote three things: Microsoft brands , the partner's brand and the partnership itself. "There's a balancing act, where they want to put the emphasis," Isaac says. "We want partners to help us and we want to help them build awareness of this brand, yet at the same time ensure that the customer is clear as to who they are working with. There are going to be times when you are going to want to promote your company as a whole, but when we're talking about your communication to Microsoft Dynamics customers, or prospective customers, [in that case] it's around using the asset that we have created for partners to be able to do that—things like the Microsoft Certified logo, using box shots, using our brochures and videos. Then we help partners by providing them with a lot of content so they can articulate the value. They can build on that and tailor it to the specific conversation they need to have with a customer." Long time partners have figured a lot of this out. "I think there's an automatic balancing," says PC Works Plus' Wertz. "We position the Microsoft logo on everything in a way that is not dominant. We just promote the partner status enough to enhance our credibility. Actually, Microsoft has been very good about putting our name in front at co-sponsored events." For some Redmond fans, representing the brand comes naturally. Even IT pros can get drawn in. "I very much represent the Microsoft brand. I even wear one of my [Microsoft Certified Systems Administrator] shirts when I make house calls," says Abel Diaz, a network administrator at San Joaquin Valley College in Visalia, Calif. "I let my customers know that Microsoft is the giant it is today because their products do work and they work well." For Diaz, this means pushing the brand on the home and small business clients he cares for outside of work, and even college end users. "I get a lot of questions from students and faculty asking what computer they should buy or what software they need at home. I give them the same answer: Buy a computer with Windows on it, buy the latest version of Microsoft Office, use IE instead of Firefox, use Microsoft AntiSpyware [now Windows Defender], use Microsoft Office Picture Manager not Adobe photo album, etc. Where possible, keep it all Microsoft." And that's exactly how Microsoft brand managers like it!